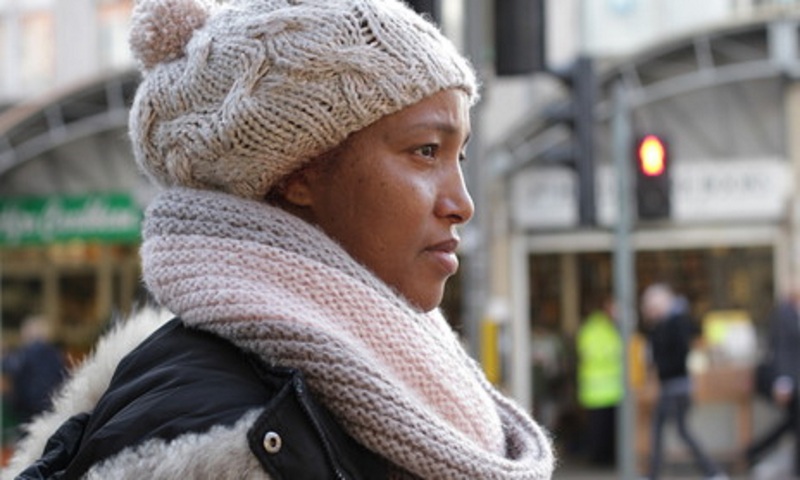 Refugee Action today called on Home Secretary Teresa May to urgently change the unsubstantiated rules which prevent many skilled and talented asylum seekers from volunteering. The national charity handed over its Right to Volunteer petition which was signed by more than 1,400 outraged supporters. The petition calls on the Home Office to draw up guidance which makes clear that people claiming asylum, as well as people whose asylum claim has been refused, are legally entitled to volunteer. It also calls on the Home Office to broaden its definition of volunteering so that asylum seekers have the opportunity to volunteer within schools, hospitals, libraries and other public sector organisations. Handing over the petition was Refugee Action volunteer Nabil. Originally from Kuwait, Nabil claimed asylum in the UK in 2007 and was granted refugee status the following year. Nabil volunteers in Refugee Action’s London centre. Previously he volunteered with a local refugee agency in the North East. “I started volunteering to help other people find their way through the immensely complex asylum system and to help them access essential community services such as GPs, libraries and reporting centres. 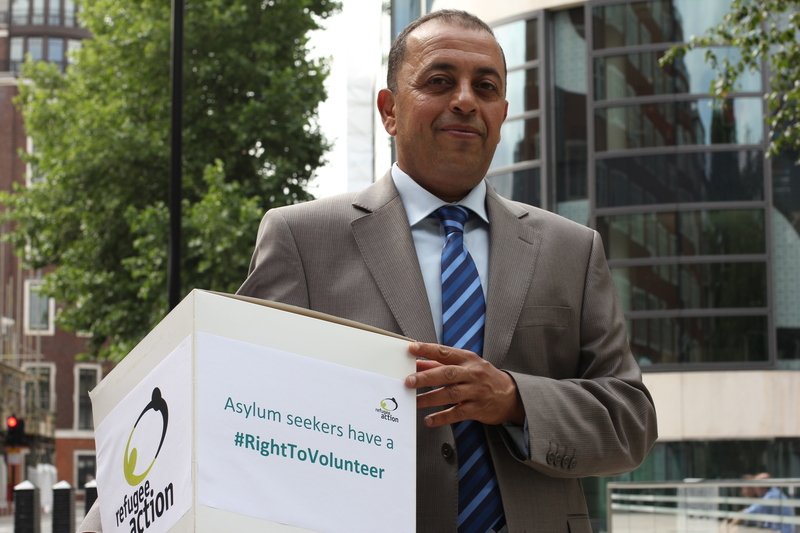 “Everyone claiming asylum in the UK has the right to volunteer. It’s outrageous that the Home Office continues to limit its definition of volunteering to within the voluntary sector. This unsubstantiated rule is preventing skilled and talented asylum seekers from sharing their expertise in schools, hospitals and libraries which are an important part of the communities in which they live. “Every single name on the petition represents a person who, like us, is outraged that people claiming asylum are being prevented from giving their free time to the community they live in. Handing in the petition is only the first step in this important campaign. We won’t stop until the guidance is changed and there is awareness at a local level that asylum seekers have every right to volunteer. Please contact the Refugee Action press office.